It took them a while, but now it seems Sharp is serious about entering the e-book and tablet business. The company announced “Galapagos”in Tokyo today [press release in English], with Galapagos being the (terrible) name both for Sharp’s cloud-based e-book service and two new Android devices supporting that service. 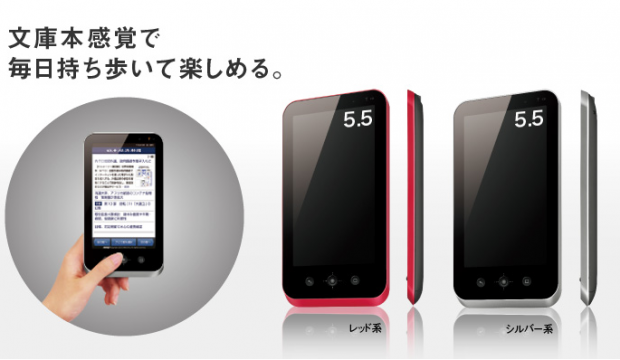 The smaller one, the “mobile type”, has a 5.5-inch LCD screen (1,024 × 600 resolution) that’s optimized for displaying paperback books (it will be available in red and black). It also comes with a trackball to scroll through pages. The other model, the Galapagos “home type”, misses said track ball (you’ll turn pages just like you do on the iPad). It has a 10.8-inch LCD screen (1,366 × 800) for magazine content formatted across a two-page spread. By way of comparison: The iPad has a 9.7-inch LCD screen featuring 1,024×768 resolution. Both Galapagos devices will have Wi-Fi (IEEE 802.11b/g) on board. Buyers will be able to surf the web, view “PC documents”, play games (via apps), and share comments and recommendations with other owners via a pre-installed “social app”. 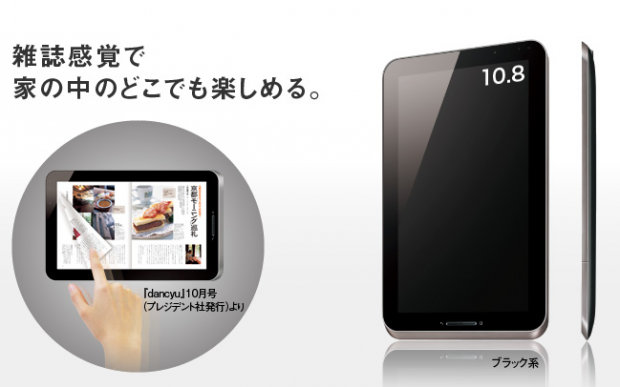 That’s the reason why Sharp, on its Japanese website, advertises the devices as “media tablets” – not just e-book readers. The Galapagos e-bookstore service is scheduled to start in Japan in December. Sharp says that buyers of the reader can expect a total of 30,000 newspapers, magazines, and books at time of launch. The company has yet to announce further details (more specs (which Android version? ), prices, exact release dates, international availability). It expects to move about 1 million units next year. We’ll keep you posted.